Birthday Wishes for Fiancée: Sweet texts, cute Facebook posts, I Love You tweets, funny pins and romantic quotes on greeting cards – the woman who was once your crush, then your girlfriend, later your fiancée and now your wife-to-be… deserves to be treated like a queen on her birthday. It is that day of the year when you can spoil her with greetings, gifts, hugs and kisses. Give her a pretty glimpse of how things will be when you both get married. The period between your engagement and your wedding day is going to be the most romantic phase of your life. The priceless memories that you create right now will be the glue that holds you together as a couple in the future. Go on, bask in the beautiful hue of puppy love and celebrate like there is no tomorrow. 1) Whatever you want, I will get. Wherever you go, I will come. Whatever you need, I will fulfill. 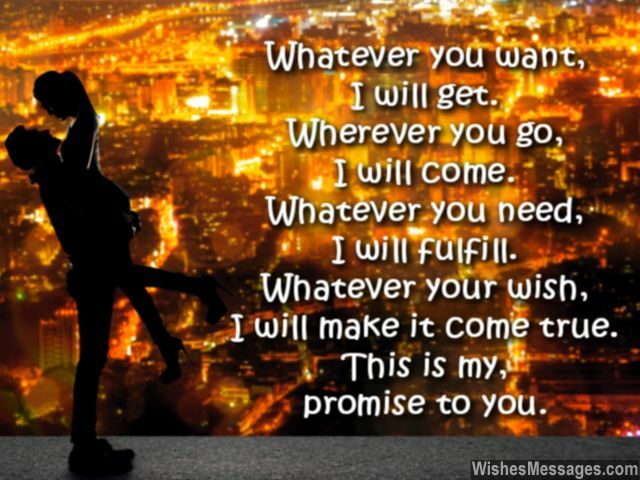 Whatever your wish, I will make it come true. This is my, promise to you. Happy birthday. 2) When a man has a fiancée as beautiful as you, he has no other wishes but to make all her dreams come true. Happy birthday. 3) My lips want to kiss you, my arms want to hug you, my eyes want to gaze at you, my heart wants to love you and I want to wish a Happy Birthday to you. 4) Happy birthday to the woman who is about to become the permanent guardian of my happiness and the lifelong keeper of my joy. 5) Sunrises seem more peaceful, sunsets seem more tranquil, dreams seem more achievable, every day of life seems more worthwhile – just because you are my fiancée. Happy birthday. 6) I was your boyfriend yesterday. I am your fiancé today. I will be your husband tomorrow. But was, is and always remain… your true love forever. Happy birthday. 7) I don’t have the official right to forget your birthday until I become your husband. Till then, here’s wishing you a very happy birthday. 8) When we were dating, I wanted to enjoy my youth with you. Now that we are engaged, I want to enjoy by growing old with you. Happy birthday. 9) This birthday is a celebration of the fact that you were born to love me and to be loved by me – for the rest of your life. Happy birthday. 10) You are the angel who plucked me from the gallows of loneliness. I don’t know what I would have done without you, but I do know what I will do now – hold you close forever until eternity. Happy birthday to my fiancée. 11) The Happiness that I find in our Togetherness is Priceless. Happy birthday, to my fiancée, my Princess. 12) On your birthday I just want to say one thing – I can’t wait for the day when our status as Newly Engaged changes to Newlyweds. Happy birthday sweetheart. 13) Exploit your powers and ask for anything that you want from me. How can I refuse, after all you are now my fiancée. Happy birthday sweetheart. 14) May your birthday be one of the many colorful brushstrokes in the vibrant canvas of our lives. Happy birthday darling. 15) Your birthday is ONE reason for us to celebrate today… but our love will give us MILLIONS of reasons to celebrate every day of our lives together. Happy birthday to my fiancée. 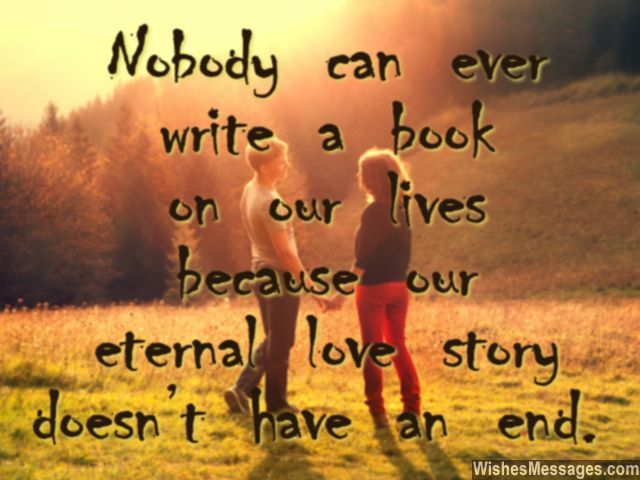 16) Nobody can every write a book on our lives because our eternal love story doesn’t have an end. Happy birthday to my fiancée. 17) If lifelong commitment was a something that I could pack in a box, that is what my gift would be on your birthday. Happy birthday to my wife to-be. 18) The day my online status changed from Single to Engaged, the status of my heart changed from in-love to madly-in-love. Happy birthday to my lovely fiancée. 19) Let’s have so much fun today that decades down the line when we become old and frail, we can look back on this day and remember it as the best day of our lives. Happy birthday. 20) We were sitting and I could hear your feelings even when you weren’t speaking. That’s the day when I realized that you were mine and I was yours. Happy birthday. 21) Ever since the day you became my fiancée, you promised to be with me on my life’s journey. I feel lucky to have you as my wife-to-be, I feel blessed when I look forward to spend my life in your company. Happy birthday, sweetie. 22) When we get married, our priorities may change as the years pass by. But I want you to remember that making you happy will be the top priority of all my priorities. Happy birthday. 23) I never need to remember my fiancée’s birthday because she always reminds me to get an expensive gift for her. Happy birthday dear. 24) Happy birthday to the woman who has gone from being my Sweetie to Fiancée to Wife-to-be. 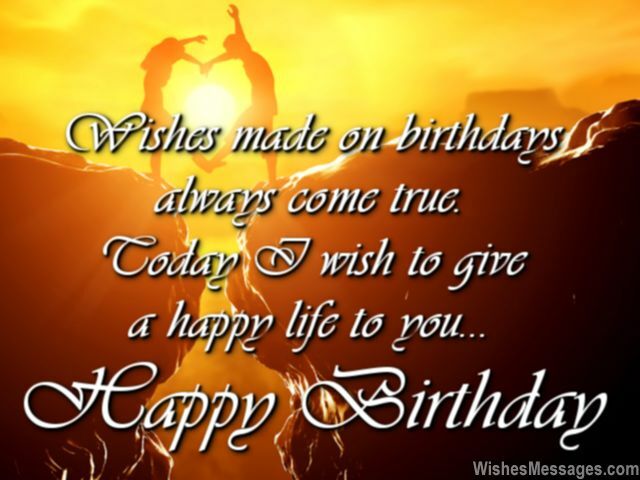 25) I wish a very Happy birthday to the woman who is going to make me a very Happy man for the rest of my life. 26) This birthday marks the beginning of all the wonderful birthdays you are going to celebrate with me for the rest of your life. Happy birthday to my fiancée. 27) Every man has the power to love. But very few men like me are blessed with the opportunity to shower their love on a beautiful woman who has a beautiful mind and a beautiful soul. Happy birthday to my fiancée. 28) Your birthday makes me feel thankful to your mother for giving birth to the woman of my dreams. Happy birthday to my fiancée. 29) Ever since you have become my fiancée, I have been wearing something constantly – a smile. Happy birthday sweetie. 30) Even if it wasn’t your birthday, this day would be special nevertheless because I have you as my fiancée to share it with. Happy birthday love. 31) Wishes made on birthdays always come true. Today I wish to give a happy life to you. Happy birthday. 32) My birthday gift for you has no value as compared to the gift of lifetime companionship that you will give me when we get married. Happy birthday sweetheart. 33) The moment I went down on my knee to propose to you was exciting. The moment you said YES, was magical. The moment we shared our first kiss as fiancé-fiancée was pure bliss. But the best moments are yet to come – spending every day of our lives together… simply perfect. Happy birthday. 34) May you always shine like Jade, may your inner radiance never fade, may you never lose your sheen, may you stay as beautiful as you have always been. Happy birthday dear. 35) To my fiancée… On your birthday today, I want to make a promise to your father that his little princess will be treated like a queen for the rest of her life. Happy birthday. 36) Your smile motivates me to be an awesome lover and your love persuades me to carve out a great future – for us. Happy birthday to my fiancée. 37) My dear fiancée… Today or tomorrow, I never want to see you in sorrow. Wherever and wherever, I will love you forever. Happy birthday. 38) As my fiancée, this birthday of yours marks the beginning of all the wonderful birthdays you are going to celebrate with me for the rest of your life. Happy birthday. 39) The biggest gift I’ve ever got in my life was the YES that I heard when I kneeled down on my knee and asked you to marry me. There’s no gift I can give you that can match its value and worth. Happy birthday. 40) I can wish you a HAPPY birthday a zillion times but still it won’t match up to how you have blessed me with a HAPPY life by becoming my fiancée. Happy birthday.